We are excited to announce that now you can get the drink of choice with our specialty ordered CBD Oil. Cannabidiol, also known as CBD, is one of more than 100 unique “cannabinoid” compounds that are found in the oily resin of the cannabis plant legalized for therapeutic or personal use and has become the It-Medicine of the moment. 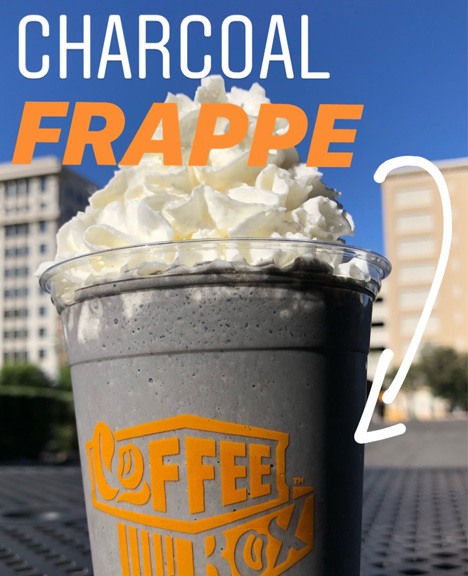 Introducing our activated charcoal made from real char-coaled coconut shells, we combine it with premium, black onyx cocoa to bring you a new bold and rich spin on lattes and frappes. Can be served hot or cold. A drink everyone is talking about! Get your first FREE reward today. Deliciously unique experience perfectly prepared for you! This season try our Matcha Green Tea Latte or the Frappe, prepared with premium Matcha, Almond Milk and a lot of love! Green has never been so good!